To understand the reasons behind the proposed Frankton neighbourhood plan, you need read it from the back. Page13. 3. Business – 10% increase in the number of businesses in Frankton by 2023 – see page 5: 11,000 employees; $10m retail expenditure ; 1,500 businesses. Also see Page 14 – Property Economics Report 2011: Retail expenditure is estimated to be $10 million and is expected to grow to $14m by 2031. 4. Profile – increasing numbers of visitors and residents know about Frankton and what it offers – no numbers to measure this. # 3. Business – Statistics NZ (commuter view) also provides facts about people working in the Frankton Junction area. Sadly their data show a decline of 5.8% between 2006 (7,109) and 2013 (6,696). For Swarbrick the data is a bit better, with growth of 2.8% from 2006 (645) to 2013 (663). However, combining the two we still get a decline of 5.4% from 2006 (7,754) to 2013 (7,329). # 4. Profile – A Key Performance Indicator (KPI) needs a measurable value, but none are offered in the Frankton Plan. The Heritage Trail in the Short Term Plan is a good start – see pages 12 & 9. 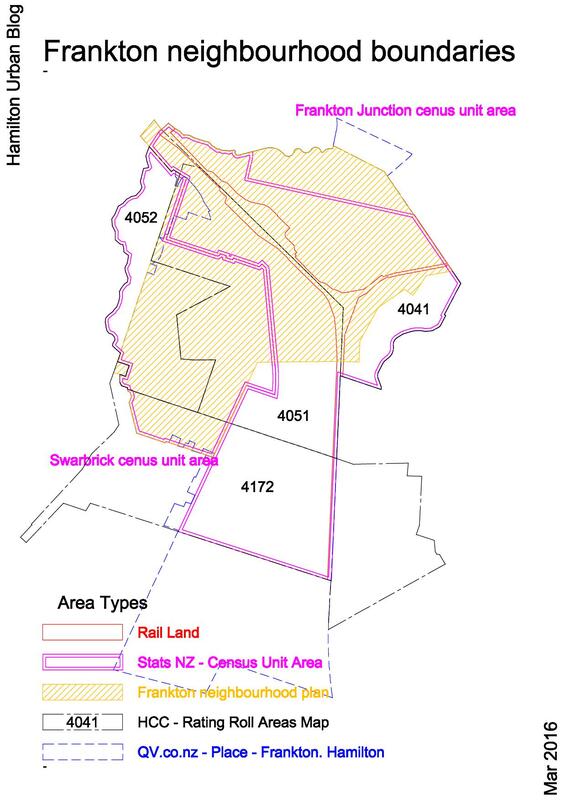 Some background to the “Proposed District Plan” can be found at 1 Plan Overview and 2 Strategic Framework, in which (p7) 2.3, Hamilton City Council resolved on 23 June 2009 to prepare a new District Plan. This decision recognised that the existing planning framework for the City was not delivering urban planning outcomes commensurate with the expectations of Hamilton’s residents, investors and visitors. Page 10. There is a good step change happening here with the ‘Western Rail Trail,’ a project originally planned in 1988 with an estimated cost of $30,000 to construct and intended to be given a medium priority (5 years). Source: Cycling in Hamilton. March 1988. Volume 1 – Hamilton design Division – Works Department. This is a real “build immediately” project. After 28 years of planning, it now has funding and a completion date of July 2016. Page 9. There may be something out of place here. The plan states that “History has been largely forgotten. This Plan seeks to change that.” We need to ask when this starts, and what is historical about the picket fences, cobble paths and quirky street lights. The artist’s impression looks more like someone’s quirky idea of a Special Heritage Zone character area, which is different to what we see in the photo on page 14. The median personal income of the average person living in this Heritage Area has increased by between 66% and 232% from 2001 to 2013 or between 21% and 55% from 2006 to 2013, which is pretty good compared to the fact the average Hamiltonian’s income only increased by 55% from 2001 to 2013 and 15.4% from 2006 to 2013. Money attracts money. 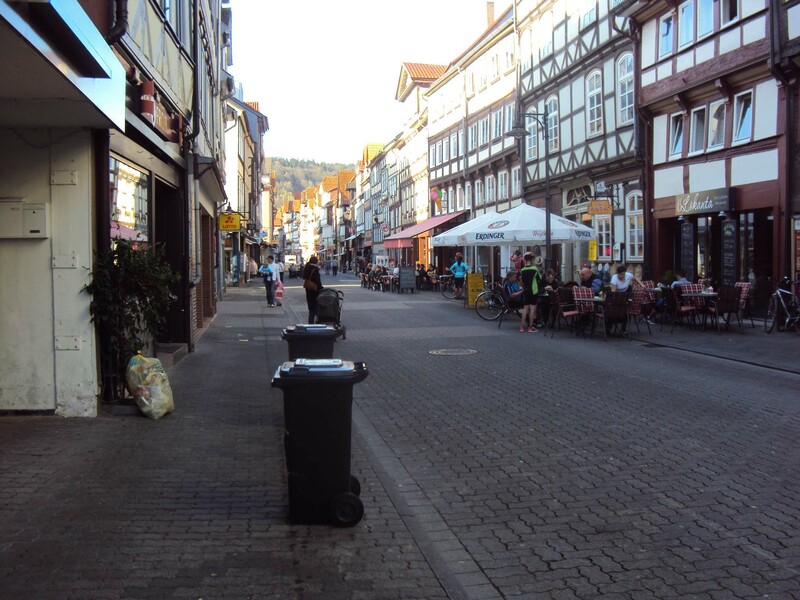 Here is example from Hann.Munden Germany (Area Pop 23,668) where shopping, living, socialising, business and different building types are mixed at street level, ensuring the change from retail to residential is blurred. The early history of Albert Cuyp Market Amsterdam isn’t much different to Frankton Market’s; Frankton is just a bit slower to grow into a daily market. An opportunity that some Frankton retailers may be missing is that the Albert Cuyp Market has layers; yes, low value street trader shelters do sell surplus and low value products, but as you move into the tent the product value increases. Looking deeper, a good number of the retailers are actually selling very high value products from the original shops/dwellings behind these shelters. And yes many Dutch people living outside of Amsterdam will talk about the type of people that hang out in parts of any city in an unpleasant way. This would be common to most places that look chaotic. 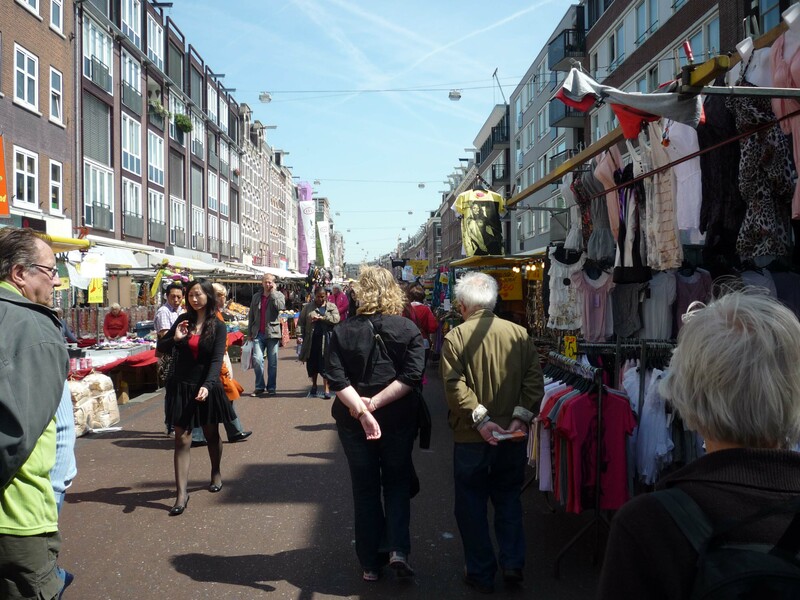 The success of the Albert Cuyp Market comes partly from fact that these retailers display and protect their products, based on their value; similar to what would be seen in a pharmacy. Page 6. The Plan’s outcomes read like a description of an established town. We can see the mix of urban of housing by looking directly behind the main street of Commerce St. 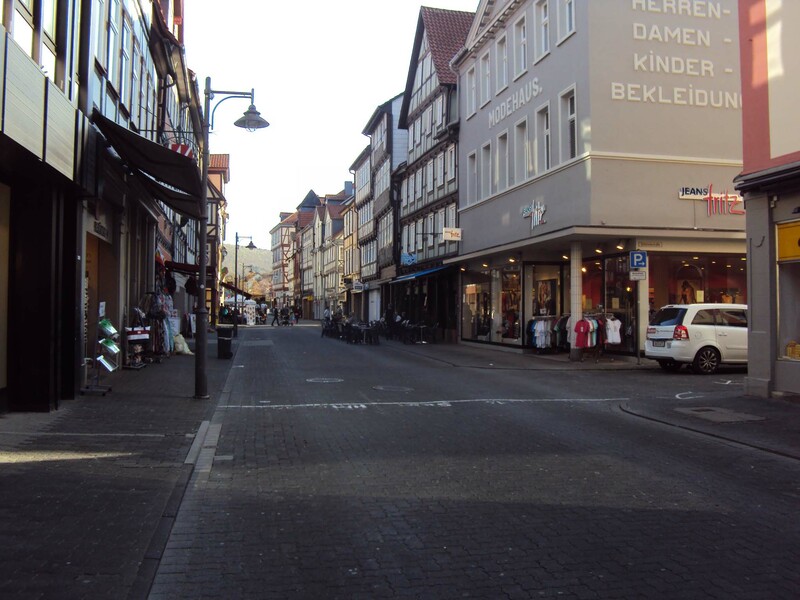 It is more immature, but of the same type of living one sees directly behind the market place in Gouda, Holland. The Frankton plan is a good exercise. To comment and pick out parts of it after the hard work of consultation has been done will always be easy. But to progress and achieve success and allow growth, the Hamilton City Council needs to have a District Plan (DP) that freely allows change, choice and mixed investment options. i) All Residential Accommodation shall be above ground floor level. 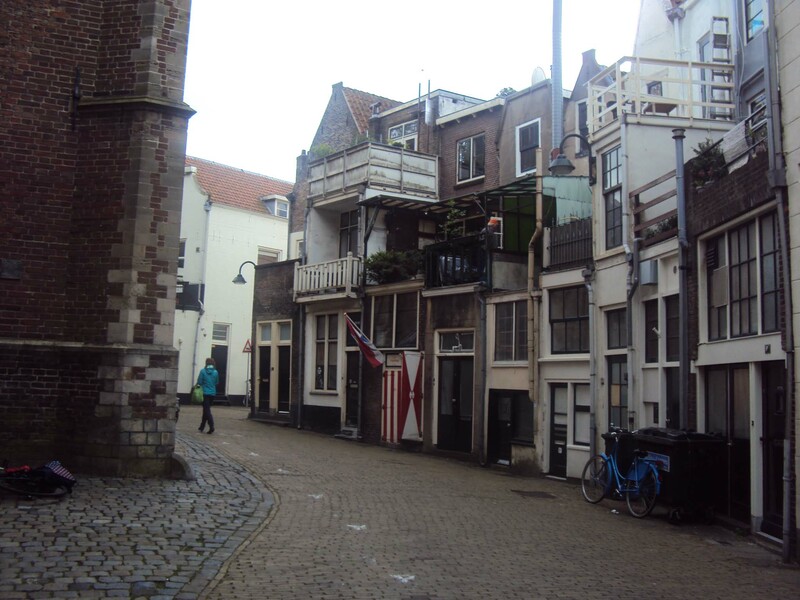 Why does the DP have rules preventing street-level living, which is normal in a city like Delft, where there is ground-level residential living right in the town centre (see Markt 29, Delft). My final comment is taken from the book Zoned in the USA : Chapter 3: How others do it.